A federal judge Wednesday sentenced an ex-GOP congressional aide to prison for 18 months for helping former U.S. Rep. Steve Stockman illegally pilfer $1.25 million in campaign funds from wealthy Republican political donors. Thomas Dodd, a 40-year-old Houstonian, told the judge he was sorry for his actions and pledged to repay the donors after he is released from prison. “I fully accept responsibility for the actions that brought me before you,’’ said Dodd, his voice breaking as he admitted helping Stockman solicit donations from conservative and then concealed how they were misused. Chief U.S. District Judge Lee H. Rosenthal ordered Dodd to repay his share of $800,000 restitution to the donors, but denied his request to serve a year and day in prison. Prosecutors had asked that Dodd receive a two-year prison term. “I have no doubt that you knew what you were doing was corrosive and destructive to the institutions that we hold dear,” said Rosenthal, who also ordered Dodd to serve three years of supervision after his release from prison. Beats ten years in the clink, that’s for sure. Jason Posey, another Stockman aide who cooperated and pleaded guilty to three charges last year, gets sentenced in January. 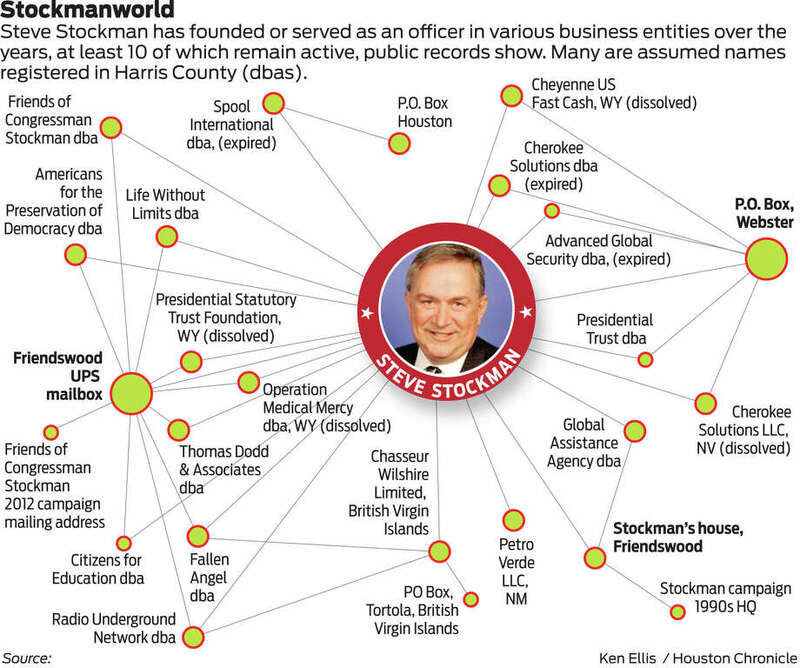 With any luck, we will never have to think about Steve Stockman after that again.